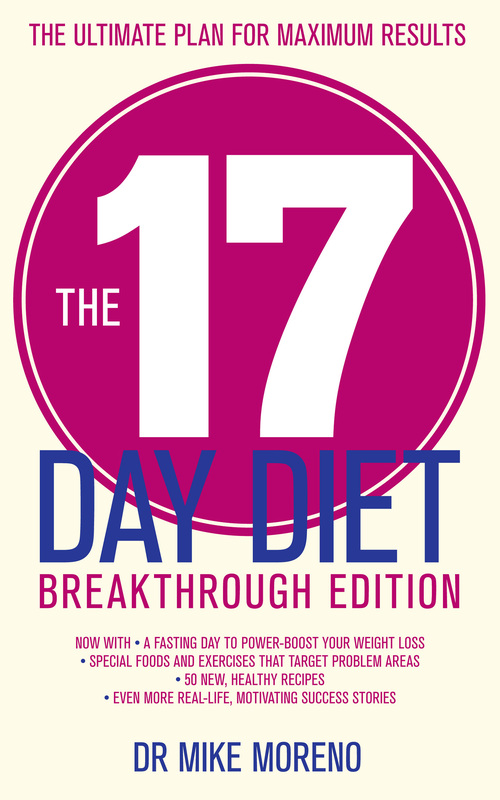 The New 17 Day Diet Breakthrough is a complete revision of Dr Mike Moreno's bestselling The 17 Day Diet, incorporating state-of-the-art research and techniques to help dieters lose weight faster and in the places they want. Adding three brand new chapters, new strategies, and more recipes, Dr Moreno ensures that his simple 17-day plan gives new dieters the most up-to-date scientific tools to help them lose weight fast, whilst giving veteran 17 Day Dieters more control and more choices as they shed pounds or maintain their ideal weight. Unlike many diet programmes that starve you down to size, Dr Moreno's revolutionary programme changes your calorie count and the foods you eat every 17 days. The variation keeps your metabolism guessing, so you burn fat every day. In addition, the book contains a 17-minute exercise programme that targets specific body parts for fat reduction, information on nutritional spot reduction and contour foods, foods that are metabolic boosters, fluids like green tea that increase satiety, and meal timing, plus lots of new recipes, inspiring testimonials and answers to frequently asked questions. Dr Michael Rafael Moreno, better known as 'Dr Mike', is a graduate of the University of California. Dr Mike practices family medicine in San Diego and sits on the board of the American Academy of Family Physicians. In 2008, he launched 'Walk with Your Doc' - an exercise initiative that began when he offered to walk with a patient to motivate her to exercise and has since grown into a thriving community. Dr Mike takes pride in being viewed not only as a doctor, but also as a friend and confidant.